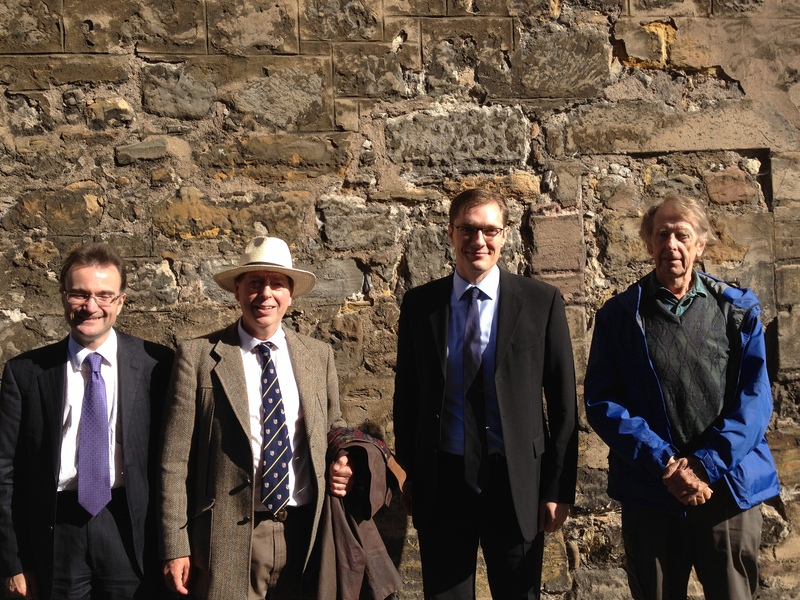 Morten Dyrmose, a PhD student affiliated to CRIEFF, has successfully defended his doctoral thesis on ‘Markets and How They Work’. This thesis is a major work on the efficacy of markets worldwide. It uses a detected anomaly in financial market pricing as a barometer of failure in corporate governance, to explore wider causes of market inefficiency, both quantitatively and qualitatively. The quantitative work analyses market inefficiency in a cross section of forty five nations world-wide. It finds extreme anomalies in Russia, India and China. It follows up this quantitative work with qualitative work, based on fieldwork in Russia, China and India. This further explains the nature of the forces behind these anomalies, emphasising board composition, information flows, the judicial system, the stock exchange, and financial regulators. Morten Dyrmose is a Danish citizen who was a national level tennis player in his youth, and served with the Danish Royal Guards before coming to the UK for his higher education. This education was undertaken at the Universities of Greenwich, Royal Holloway London, and St Andrews (where he read for the MSc in Finance, obtaining a Distinction in the dissertation). He has also worked as a financial analyst (business expansion, profit projection) in Mexico, and as a financial advisor (risk matrix, fund selection criteria) in the UK. He speaks five other languages, as well as his native Danish. The External Examiner was Professor Simon Deakin, who was the first Professor of Corporate Governance at the University of Cambridge (2001-06), and is currently Assistant Director, and Senior Research Associate, Centre for Business Research, Judge Business School, University of Cambridge, as well as Professor of Law, in the Faculty of Law, University of Cambridge. The Internal Examiner was Professor Felix FitzRoy, the Principal Supervisor was Professor Gavin C Reid, Director of CRIEFF, and the second supervisor was Dr Gonzalo Forgues-Puccio, all School of Economics & Finance, University of St Andrews. The full title of this thesis is: Markets and how they work: a comparative analysis of fieldwork evidence on globalization, corporate governance, institutional structure and competition in Russia, India and China, supported by a quantitative worldwide cross-section study of market anomalies. An accessible summary account of its principal findings is in M. Dyrmose (2012) ‘India, Russia, and China: a comparative analysis from the field’, The State Bank of India Monthly Review, May 2012, pp. 19-24. In due course a hard copy (and digital version) of the full thesis will be available from the Main Library, University of St Andrews, and a further exploration of its content will be forthcoming in published works in academic research journals.